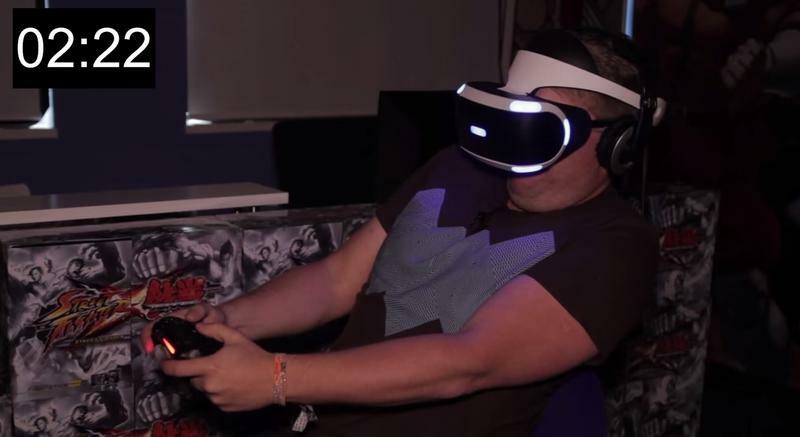 Right around E3, Sony and Capcom were showing off a brand new tech demo for Project Morpheus. It was simply called "The Kitchen," and those who strapped on the helmet and experienced the title came away absolutely horrified. The PlayStation Access video you see above pits one man who hates horror games (much like myself, I'm way too chicken) against "The Kitchen." You watch him suffer through the demo and then deliver his reaction. It's rough. "The Kitchen" is a double edged sword for me. Ignoring that I don't like horror games, let's assume they do. On one hand, I love the idea of crazy immersive horror games like this one. These kinds of experiences are only really possible with VR, and that's not hyperbole. The problem? They're really hard to advertise. The video you see here is just a man talking about a demo he's experiencing. It's scary, sure, but it's hard to really understand how immersive or scary this really is. It looks terrifying, and videos like these, even without any gameplay footage, are selling me on the idea of VR. What do you think?